Term (Latin pestis = plague, caedere = kill) for chemical substances that kill annoying or harmful animal and plant organisms, drive off or inhibit germination, growth or reproduction. These include in the area of pest Management pesticides and, in the area of pest control, biocides. In the narrower sense, pesticides are agents for combating animal pests, in which sense the term was used mainly in the English-speaking countries (English: pests). 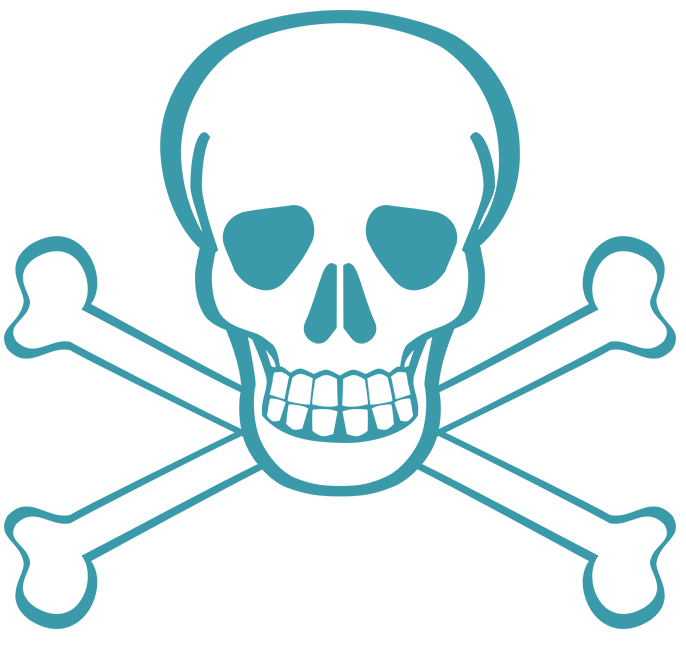 In some sources, pesticides were sometimes equated with insecticides. In a broader sense, however, pesticides are all pesticides and pesticides. According to EU regulations there is a definition of "pesticide" which includes both plant protection products and biocidal products. However, the term "pesticide" is rarely used in the statutory provisions of the German-speaking states. What is the difference to the term biocides (bios = life, caedere = kill)? In the strict sense, biocides are understood to mean active substances, chemicals and microorganisms used against harmful organisms (such as rats, insects, fungi, microbes) in non-agrarian pest control, for example disinfectants, rat poisons or wood preservatives. By contrast, products used in the cultivation of plants are not referred to as biocides but as crop protection agents. Biocides are also called non-agricultural pesticides for distinction. Biopesticides are non-synthetic plant protection products. Compared to chemically synthesized pesticides, it is characterized by lower toxicity, higher selectivity and better compatibility organically or. Integrated crop protection out. Such a biopesticide was developed to prevent bee mortality and consists of the poison of a tarantula and the poisonous substances of the snowdrop. It has (contrary to conventional pesticides) no negative effects on the bees, However, the use of such substances is usually more complicated and for the effective use of a special know-how required. 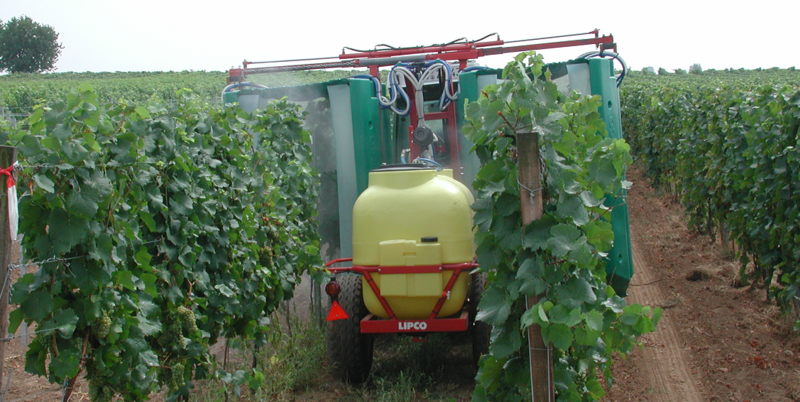 In viticulture there are attempts to use biopesticides as an alternative to copper sulphate use. In addition to the specifically used against certain pests or harmful organisms, there are also combination pesticides with a broad spectrum of activity. Access to the organism takes place via the respiratory tract, as a feeding poison via the stomach and intestine, as a contact poison in insects or in plants over the leaves and roots. The active substances can be inorganic ( Arsenic-. Copper-. Sulfur-, Metal compounds), of organic-vegetable origin (nicotine, pyrethrum, neem seed extract), chemical-synthetic (DDT, hexa, lindane, round-up) or else biotechnologically ( Bacillus thuringiensis preparations ). The first chemical-synthetic pesticide is the 1938 insecticide Nirosan, which led to the ban on arsenic in viticulture. In most cases, they are sprayed or sprayed by means of solvent (water) or else used as dust or in solid form. In the context of crop protection, the use of chemically-synthesized biocides is among the conventional Method. However, such chemical substances can lead to serious environmental damage (even when used in a controlled manner), which will only have long-term effects on the ecosystem. These damages can be very subtle, for example, thinner, brittle shells in bird eggs, orientation disturbances in fish, hormonal influence on the gender expression up to the eradication of a food chain link. The synthetic substances are completely unproven in terms of their impact on the natural balance, the long-term effects are unpredictable. Therefore, chemical agents in public opinion are increasingly coming under negative attack. One tries to reduce the use of pesticides to the absolutely necessary minimum or at best to do without altogether. It is sprayed only at infestation pressure, if the exceeding of the damage threshold threatens. Therefore, biotechnological, environmentally friendly processes are increasingly being used. In the framework of organic agriculture and the Biological crop protection Chemical agents and thus also pesticides are not allowed. At the Integrated pest management they are only used when ecological Do not take action. Hence the fact that they are in the Organic viticulture only to the smallest possible extent, in the biodynamic and Bioenergetic viticulture hardly or not used or forbidden. All aids, works and measures in the vineyard during the growth cycle one finds below Weingarten Care, Complete listings of the numerous cellar techniques, as well as a list of the wine-regulated wine, sparkling wine and distillate types are under the keyword winemaking contain. Comprehensive information on wine law is available under the keyword Weingesetz . This page was last modified at 27 February 2019 at 15:17.